In this article, we will discuss on how to improve agent productivity by discussing on various ideas with which Agent's Talk Time can be reduced. 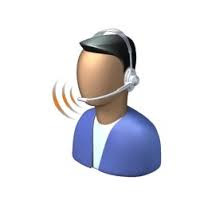 Call center software solution should look at reducing the agent talk time as much as possible. The premise for this discussion is that the Agent / Call Center Executive is the costliest resource in the system and every thing else works around them to help and maximize the Agent's efficiency. Your Contact Center software should be integrated with your CRM ( CTI integration) for giving a POP to the agent with the customer information. It has been observed that POP helps reduce Agent talk time by almost 30% in various processes. Here at Cloud Agent , we ensure that all our customers experience this efficiency by integrating their CRM systems. We have integrated almost 30 different CRM systems till date. Incoming Number display - Agents will have ready made reference of the customer number and they need not spend time in asking the number. Skill Based Routing: Diagnosing the customer problem/ needs in the IVR itself by providing options in the IVR is another way to reduce talk time. The moment call lands on the agent screen, your agent is equipped with information on what the customer wants. This works best in tandem with Screen POP and is the most effective feature. Cloudagent.in from Ozonetel Systems. Built on top of the KooKoo platform.